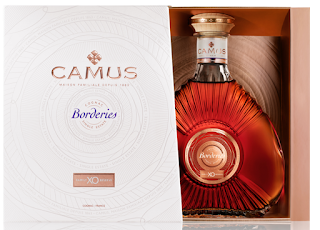 Camus XO Borderies Family Reserve Cognac as a suggested retail price of $199, just in time for the holidays. Handcrafted from grape to bottle, XO Borderies Family Reserve is a single estate cognac produced exclusively from the CAMUS families private vineyard in the borders cru. With aromas that are rich and complex with a perfect balance between the floral and fruity notes mixed with gourmet notes of pastries and vanilla. Powerful, rich and creamy with a particularly velvety texture revealing the intense aromas of pastries, subtle spicy notes, cinnamon, and dried fruits. Finishing off with floral hints with delicate violet notes; they suggest serving it in a tulip glass and pear with chocolate and pastries. My Opinion: this was a very flavorful cognac that would be great served with a dessert this holiday season along with a great gift given to anyone that they enjoy this.